Insects and rodents are not only destructive to your house, but also your lawn. 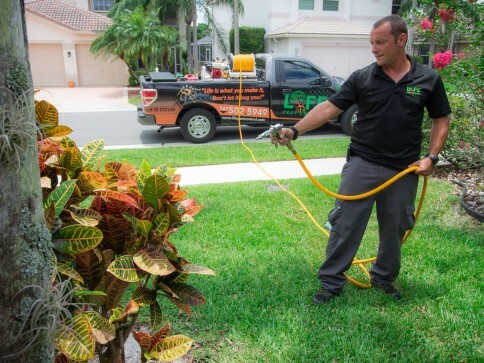 Life Pest Control has years of experience with lawn pest control services in the West Palm Beach, FL area. Whether you need to get rid of burrowing animals or an invasion of ants, you can count on us to get the job done properly. Call (561) 502-5949 today to learn more about our pest control services in West Palm Beach, FL. We’ll keep your lawn safe year-round. Chewing insects, like Japanese beetles or aphids, can eat their way down to the soil while snacking on your grass. Some species of insects lay eggs under your soil. When they hatch, the larvae will attack the roots of your grass and cause your turf to shrivel up. Large ant colonies, when left unaddressed, can uproot your turf. They’ll move into places where your grass is already weak and take advantage of the soil. To prevent dangerous insects from destroying your lawn, call Life Pest Control today. We’ll send an exterminator to your home in the West Palm Beach, FL area at your convenience.